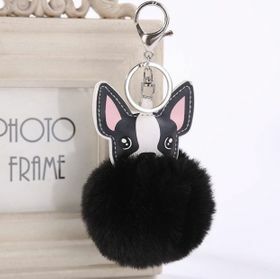 Adorable Boston Terrier pom-pom charm. Soft faux fur pom-pom comes in pink or black. Has two attachment options- keyring and snap. Adorable as a handbag charm or keychain.